Construction of a mass transit overpass will prompt the closure of southbound I-5 lanes from The Merge to La Jolla Village Drive Thursday. All southbound I-5 lanes from La Jolla Village Drive will close from 9:30 p.m. Thursday to 5 a.m. Friday. Crews will work overnight to pour concrete as part of the construction of the trolley overpass that will cross I-5 at Voigt Drive. 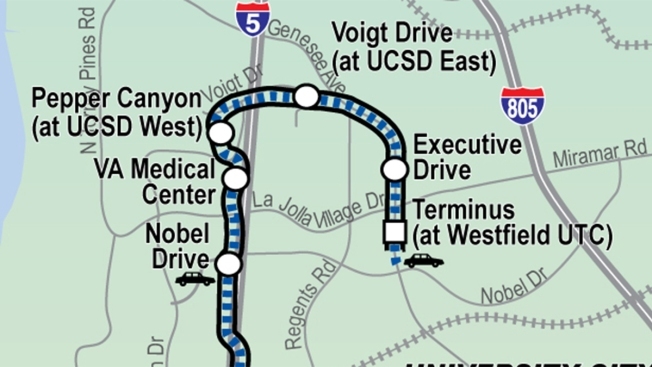 The expansion of the trolley's route through La Jolla will go from the Old Town Transit Center north alongside I-5 to Gilman Drive where it will cross to the west side of the highway just south of Nobel Drive. The trolley will then cross to the east side of I-5 near Voigt Drive and travel along the median of Genesee Avenue to the Westfield UTC Transit Center. San Diego Association of Government officials say the new route will provide direct service from the border and areas south of downtown to University City without the need of a transfer. The expansion of mass transit into this area of the county is necessary because estimates suggest the population will grow by 19 percent in the corridor by 2030. It has been under construction since Oct. 2016 and service is expected to begin in 2021. 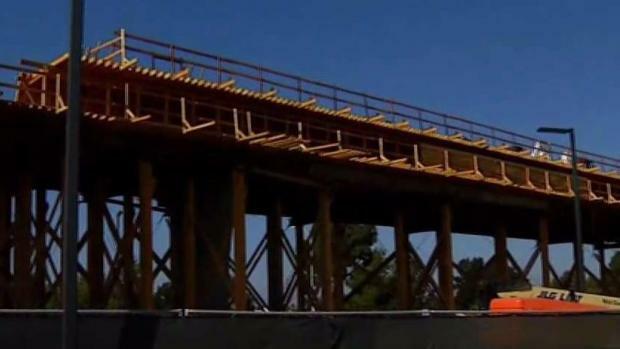 NBC 7's Llarisa Abreu reports the lastest updates on the Mid-Coast Trolley construction that will extend the blue line from Old Town to La Jolla. This comes in the middle of further I-5 construction to extend carpool lanes.